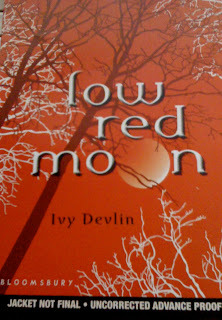 Thoughts: FYI, there isn't an official cover for Low Red Moon yet. This is just the arc cover so it's subjective to change. Now, back to the book. I think Low Red Moon is a decent start to a hopefully great series. I had a bit of a love-hate relationship with this book. I loved the design/layout of the book. Each title page is designed with little trees, and I thought that was really cute. I also loved the concept of the story. I wish the synopsis on the back of the arc (which differs from the one I posted from Goodreads) didn't give so much away about Ben. Part of the fun is the mystery and while predictable, it would have been fun to not have it all out there before the book even begins. Romance. While I found Ben and Avery's relationship to be rushed, I still enjoyed they're interactions. Very smexy. I loved how protective Ben is of Avery. I did have a few problems with Avery herself. She came off as wishy-washy with some of her decisions. Understandable considering her situation, but it doesn't mean I have to like her. One of my pet peeves with this book is the writing style. The author uses quite a bit of em dashes (-pause, dramatic effect-) and ellipses...which trailed off...and come back again. I think these literary devices are great, but an overkill can be more distracting than interesting. When I see this... and -this-, the reader in me automatically pauses. Considering the arc is a little less than 200 pages, it took me longer to read it than it normally should. 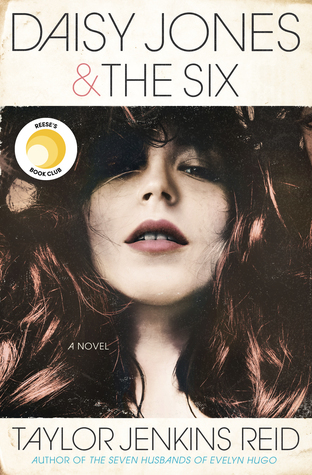 The ending wraps up the story nicely yet still leaves room for a sequel. Overall, I did enjoy the story. As long as the writing is cleaned up, I don't see why I wouldn't grab the sequel. True on the writing quirks! I'm glad you fore-warned me about them. And I do agree that Avery and Ben were pretty romantically cool, except for the fact that it all happened real, real fast. Agree 100%. I'm not sure why but I liked Ben & Avery together even though instant love is one of my peeves. It felt more like an intro and I liked it on that level. I'll pick up the next book to see what happens. I also agree with everything you said. I normally HATE relationships that are rushed with no build up, but it was hard not to feel the chemistry between them nonetheless, and that made me go for them as a couple even though there was really no explanation or anything. I look forward to (hopefully) getting one in the sequel.